Money back guarantee. Book your log delivery when you buy firewood online. Only low moisture firewood logs for sale. 100% British hardwood logs. Kiln dried logs delivered to County Durham. 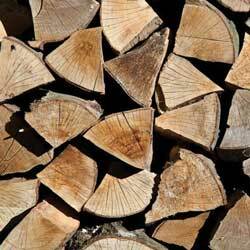 Howdy, we’ve plenty of seasoned & kiln dried logs available to buy online. Bulk logs for sale with free delivery to Durham. Our kiln dried logs are ready to burn, so can be used right away. If you can store them, we recommend buying your firewood in warmer months to benefit from discounts. 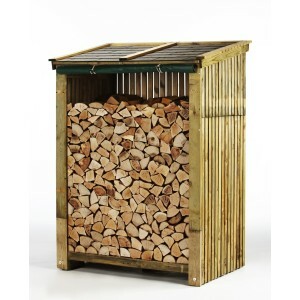 At Firewood Fund, we stock and deliver supreme kiln dried logs that you can buy online via a secure checkout facility. 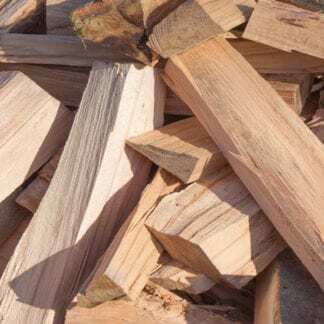 Should you place an order today, you will guarantee to have our incomparable logs delivered at your house in Durham or indeed anywhere within County Durham– we take pride in our growing reputation and always look to go beyond expectations. √ Select your firewood log size. Sizes available: small logs, medium logs and large logs for sale. Our size options will ensure you get the right logs for a wood burner – regardless of what size stove you have! Isn’t it about time you bought firewood the convenient way? Order hardwood with ease online then get your kiln dried hardwood logs delivered to your home address. 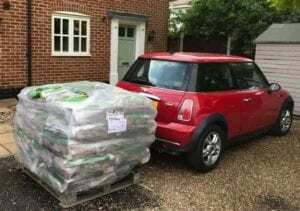 Why struggle loading your car at the supermarket, garage or DIY store? Buying logs in small quantities is expensive. Having bulk firewood delivered is the best value way to buy logs. We can supply you a kiln dried logs pallet direct to any UK mainland address. Bulk log bags are sold in metric Cubic Metres (m3). We list our logs in volume rather than weight because most of the moisture has been removed through the kiln drying process. Buying logs in weight is terrible measure because a ton bag of logs could mean you get very few logs if they are saturated with moisture. 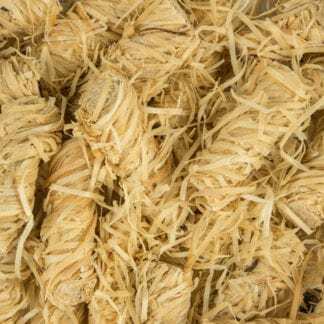 Beyond our bulk bags, you can also buy individual smaller bags of logs. There are delivered neatly stacked on a pallet. With winter comes a severe drop in temperature, especially in Durham so don’t shiver the night away! 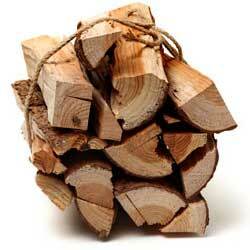 Click to buy some of the most best bulk kiln dried logs for sale online to keep warm. We are confident we’ve the best logs for your log burner. Just remember the wood for burning = kiln dried logs! Aislaby, Allensford, Annfield Plain, Archdeacon Newton, Auckland Park Aukside and Aycliffe Village. Barmpton, Barnard Castle, Barningham, Beamish, Beamish Open Air Museum, Bearpark, Beaumont Hill, Bedburn, Belmont,Benfieldside, Biddick, Bildershaw, Billingham, Billy Row, Binchester, Bishop Auckland, Bishop Middleham, Bishopsgarth,Bishopton, Blackhall Colliery, Blackhall Rocks, Blackhill, Blackwell, Bolam, Boldron, Bournmoor, Bowbank, Bowburn, Bowes,Bowes Museum, Bowlees, Bradbury, Brafferton, Brancepeth, Brandon, Branksome, Bridge End, Bridgehill, Brierton, Brignall,Broom Hill, Broompark, Brotherlee, Browney, Burnhope, Burnopfield, Butterknowle, Butterwick, Byers Green Byker Hill, Blackfell ( Washington), Birtley and Blaydon. Carlbury, Carlton, Carrville, Cassop, Castle Eden, Castleside, Catchgate, Causey, Chester Moor, Chester-le-Street, Chilton,Chilton Lane, Cleatlam, Close House, Clough Dene, Coal Bank, Cockerton, Cockfield, Cold Hesledon, Collierley, Consett,Copley, Copthill, Cornforth, Cornriggs, Cornsay, Cornsay Colliery, Cotherstone, Coundon, Coundon Grange, Coundongate,Cowpen Bewley, Cowshill, Coxhoe, Craghead, Craigside, Crawleyside, Crimdon Park, Crook, Crookgate Bank, Crookhall,Croxdale and Cleadon. Daddry Shield, Dalton Piercy, Dalton-le-Dale, Darlington, Dawdon, Deaf Hill, Dean Bank, Delves Lane, Deneside, Dent Bank, Denton, Dipton, Dragonville and Durham. Eaglescliffe, Easington, Easington Colliery, East Blackdene, East Briscoe, East Hedleyhope, East Kyo, East Law, East Stanley, Eastbourne, Eastgate, Ebchester, Eden Vale, Edmondsley, Edmundbyers, Egglesburn, Egglescliffe, Eggleston,Eldon, Eldon Lane, Elstob, Elton, Elwick, Embleton, Escomb, Esh, Esh Winning, Esperley Lane Ends, Etherley Dene,Ettersgill, Evenwood and Evenwood Gate. Fairfield, Faverdale, Ferryhill, Ferryhill Station, Finchale Priory, Fir Tree, Firth Moor, Fishburn, Fleming Field, Flint Hill,Forest-in-Teesdale, Foxton, Framwelgate, Framwellgate Moor, Frosterley and Fulwell. Gainford, Garmondsway, Gilesgate, Gilesgate Moor, Gilmonby, Grange Hill, Grange Villa, Grassholme, Great Burdon, Great Chilton, Great Lumley, Great Stainton, Greatham, Greencroft, Greenhill, Greta Bridge and Grindon. Hallgarth, Hamsterley (Bishop Auckland), Hamsterley (Consett), Hardwick, Harelaw, Harperley, Harrowgate Hill, Harrowgate Villa, Hart, Hart Station, Hartburn, Hartlepool, Hartlepool Abbey, Hartlepool railway station, Harwood, Haswell, Haswell Moor,Haswell Plough, Haughton-le-Skerne, Haverton Hill, Hawthorn, Headlam, Healeyfield, Hedley Hill, Heighington, Helmington Row, Hesledon, Hett, High Coniscliffe, High Dyke, High Etherley, High Fenton, High Forge, High Friarside, High Grange, High Haswell, High Hesledon, High Shincliffe, High Stoop, High Throston, High Urpeth, High Westwood, Hill End, Hill Top (Stanley), Hill Top (Teesdale), Hilton, Hobson, Holmside, Holwick, Horden, Horsleyhope, Houghall, Houghton Bank,Houghton-le-Side, Howden-le-Wear, Hummersknott, Hunderthwaite, Hunstanworth, Hunwick, Hurworth Place, Hurworth-on-Tees, Hury, Hutton Henry, Hutton Magna, Harton and Hedworth. Ingleton, Inkerman, Ireshopeburn and Iveston. Kelloe, Kepier, Killerby, Kimblesworth, Kinninvie, Kip Hill, Kirk Merrington and Knitsley. Neasham, Nettlesworth, Neville’s Cross, New Brancepeth, New Coundon, New House, New Hunwick, New Kyo, Newbiggin (Lanchester), Newbiggin (Teesdale), Newfield (Bishop Auckland), Newfield (Chester-le-Street), Newton Aycliffe, Newton Bewley, Newton Hall, Newton Ketton, No Place, North Bitchburn, North Close, North End, Northlea and Norton. Oak Tree, Oakenshaw, Old Cassop, Old Durham, Old Eldon, Old Quarrington, Old Stillington, Old Wingate, Ornsby Hill,Ouston, Ovington, Owton Manor and Oxhill. Page Bank, Parkside, Pelton, Pelton Fell, Perkinsville, Peterlee, Phoenix Row, Pickering Nook, Piercebridge, Pittington, Pity Me, Plawsworth, Pontop Pike, Port Clarence, Portrack, Preston-le-Skerne and Preston-on-Tees. Quaking Houses, Quarrington Hill and Quebec. Rainton Gate, Ramshaw (Bishop Auckland), Ramshaw (Consett), Redmarshall, Redworth, Rift House, Rise Carr, River Wear,River Tees, Roddymoor, Romaldkirk, Rookhope, Roseworth, Royal Oak and Rushyford. Sacriston, Sadberge, St Helen Auckland, St John’s Chapel, Satley, Scargill, School Aycliffe, Seaham, Seaton, Seaton Carew,Seaton Carew railway station, Sedgefield, Shadforth, Sheep Hill, Sheraton, Sherburn, Sherburn Hill, Shield Row, Shildon,Shincliffe, Shiney Row, Shotley Bridge, Shotton (Peterlee), Shotton (Sedgefield), Shotton Colliery, Skerne Park, Snaisgill,Sockburn, South Church, South Hetton, South Moor, South Pelaw, South Side, South Stanley, South Wingate, Spennymoor,Staindrop, Stainton, Stainton Grove, Stanhope, Stanhope and Tyne Railway, Stanley, Stanley Crook, Startforth, Station Town, Stillington, Stockton-on-Tees, Stockton and Darlington Railway, Stony Heap, Summerhouse, Sunderland Bridge,Sunniside, Sunny Brow and Sunderland. Tan Hills, Tanfield, Tantobie, The Dene, The Grove, The Headland, The Middles, The Slack, Thinford, Thornley (Durham),Thornley (Weardale), Thorpe Larches, Thorpe Thewles, Thringarth, Tindale Crescent, Todhills, Toft Hill, Toronto, Tow Law,Town Kelloe, Townfield, Trimdon, Trimdon Colliery, Trimdon Grange, Tudhoe, Tudhoe Grange and Tursdale. Urlay Nook, Urpeth, Ushaw Moor and Ushaw College. Wackerfield, Waldridge, Wall Nook, Walworth, Walworth Gate, Waskerley, Waterhouses, Weardale, Weardale Railway, Wearhead, West Auckland, West Blackdene,West Cornforth, West Kyo, West Lea, West Park (Darlington), West Park (Hartlepool), West Pasture, West Pelton, West Rainton, West View, Western Hill, Westerton,Westgate, Westwick, Wheatley Hill, Whinfield, White-le-Head, Whitton, Whitworth, County Durham, Whorlton, Willington, Wingate, Winston, Witton Gilbert, Witton Park, Witton-le-Wear, Wolsingham, Wolviston, Woodham, Woodland, Woodside, Wycliffe and Wreckenton. We love watching Firewood Logs burn slowly on a campfire, so relaxing, don’t you think?